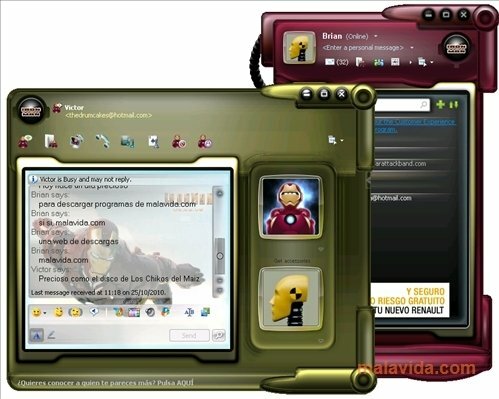 Iron Man Skin will give your Live Messenger have an interface inspired on Iron Man, the renowned comic hero. Thanks to the fact that Messenger Plus! allows you to install all kinds of free skins and themes, downloading Iron Man Skin and applying it to your instant messaging application is really easy. Even though the graphic interface used for Messenger isn't bad at all, the fans of the comic or the character in general will find a rather well developed personalization, in which the main window, the conversations and even the general configuration have been changed. 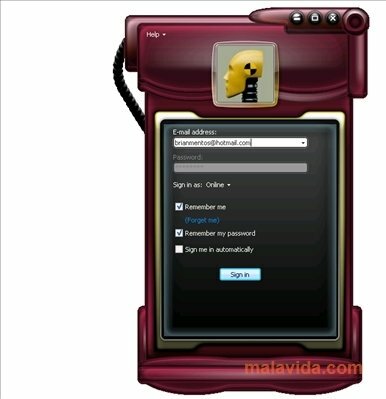 With the added bonus of various avatars based on Iron Man. Among the changes that can be applied to the interface, you will find the possibility to choose the color that predominates. The textures, shadows and designs will always be the same, but you will be able to choose between the classic red Iron Man or any other that you like. The truth is that the design is very striking no matter what color you choose. 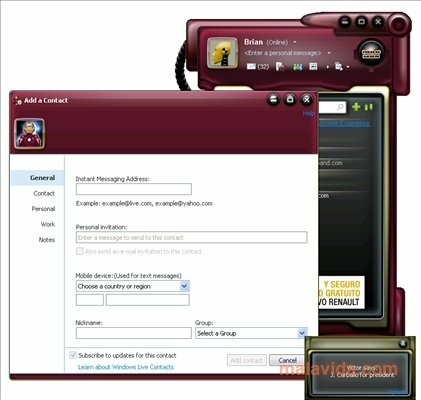 Download Iron Man Skin for free and enjoy one of the most interesting skins on your Messenger, the most used instant messaging client. It's necessary to use Messenger Live 8.5.1235 and to have Messenger Plus! Live.